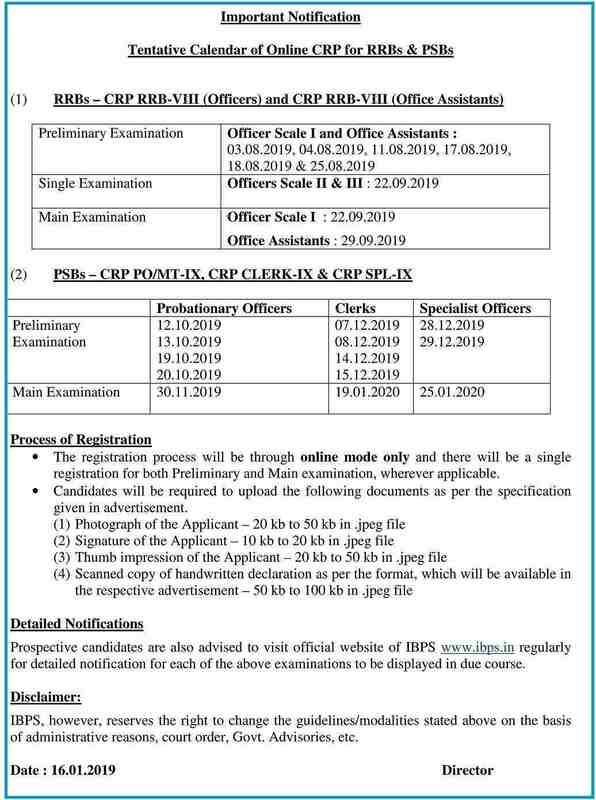 IBPS Calendar 2019–20: Check Exam Dates for IBPS Clerk, PO, SO, RRB|Download PDF Now! In this article we have provided the IBPS Exam Calendar 2019-20 in the PDF format. Official IBPS Exam Calendar 2019 - 20 has been recently released on the official website of IBPS i.e. ibsp.in. Now Candidates can check dates of online exams, like IBPS Clerk, IBPS PO (Probationary Officer), IBPS SO (Specialist Officer), IBPS RRB (Regional Rural Banks) etc. Complete details about all the exams dates are available here in a tabular format. You can also download IBPS Calendar 2019-20 (in PDF format) with the help of download link given at the end of this article.